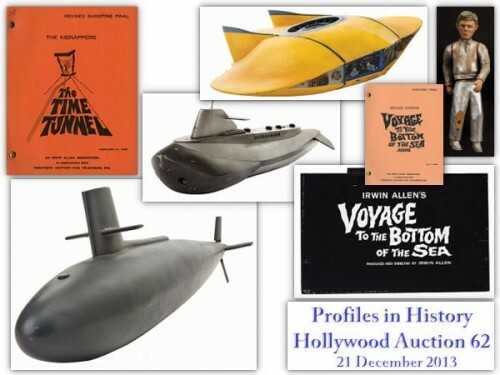 The upcoming Profiles in History Hollywood Auction 62 on 21 December 2013 features a number of Irwin Allen items including an original Flying Sub miniature, the Polidor and Vulcan sub props, Voyage to the Bottom of the Sea TV title art, a rare Will Robinson figure and several scripts. 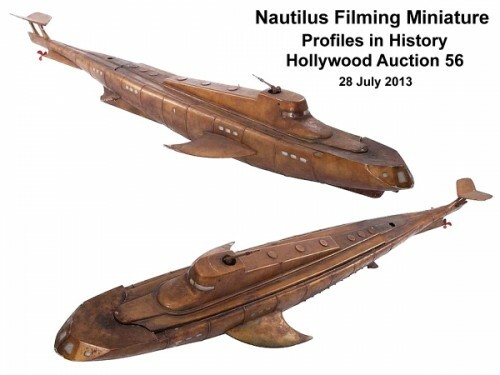 The next Profiles in History Hollywood Auction on 28-29 July 2013 features several Irwin Allen items including the original filming miniature of the Nautilus submarine that appeared in Irwin Allen’s The Return of Captain Nemo. 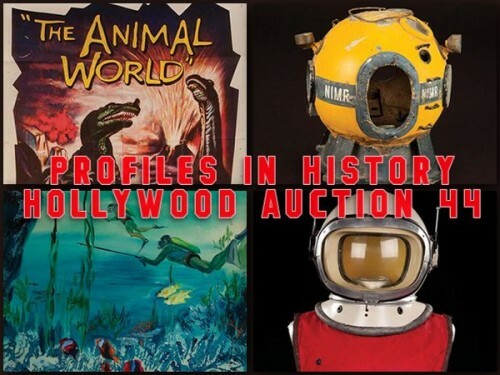 Other items in the auction include an original piece of title concept art from the 1961 Voyage to the Bottom of the Sea movie and a metal wrench prop from Voyage and Lost in Space. 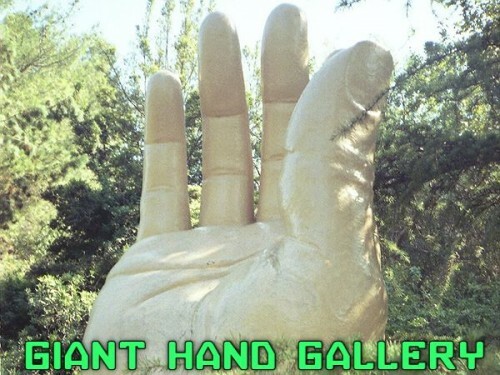 A number of rare Irwin Allen props are being auctioned at the Profiles in History Hollywood Auction 44 on 14-15 May 2011. 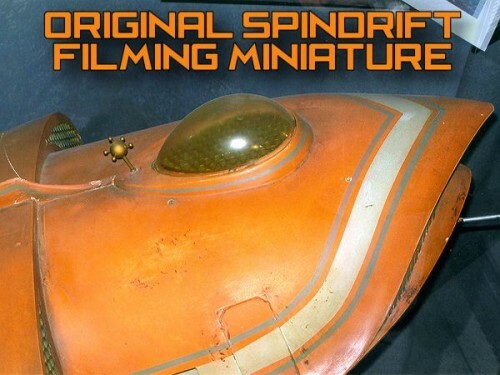 These include the original Voyage to the Bottom of the Sea Diving Bell prop and the Lost in Space John Robinson spacesuit and helmet. For more details, please visit the Profiles in History Web Site. 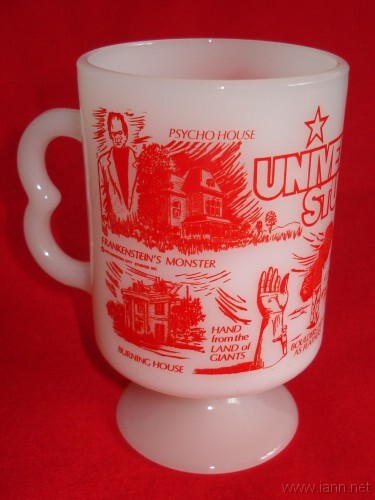 Land of the Giants was represented on a couple of Universal Studios Tour souvenir mugs with a drawing of the giant hand prop that could be seen along the tour ride. 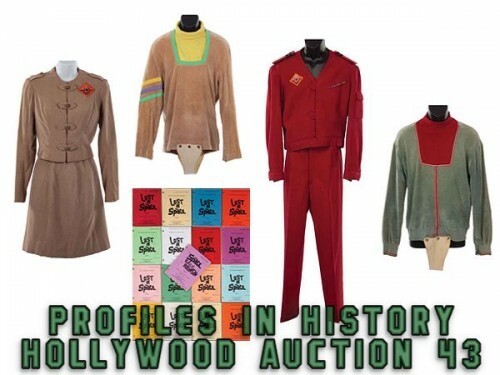 Two original Land of the Giants costumes (Steve Burton and Betty Hamilton uniforms), two Lost in Space Tunics (John Robinson Season 1 and Season 3), and a set of 90 autographed original Lost in Space Scripts are being auctioned at the Profiles in History Hollywood Auction 43 on 17-18 December 2010. 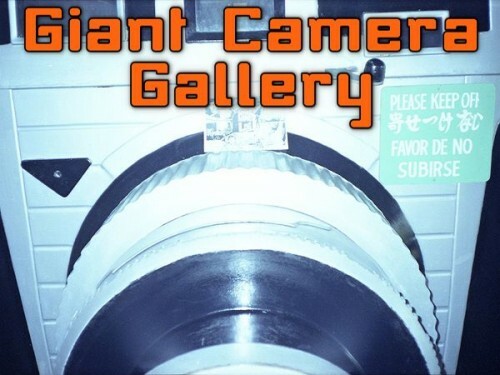 Another new addition to the Land of the Giants Prop section is the giant camera used in the Land of the Giants episode “Framed”.